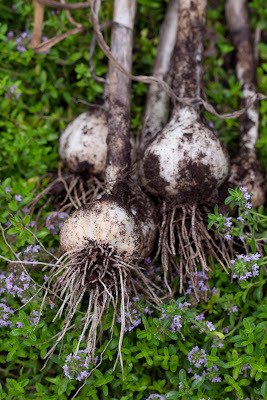 Lovely garlic bulbs resting on a bed of thyme. I dug up a few heads of garlic today to see how it is progressing. I think it's just about ready. Some heads are fairly large while others are about average. 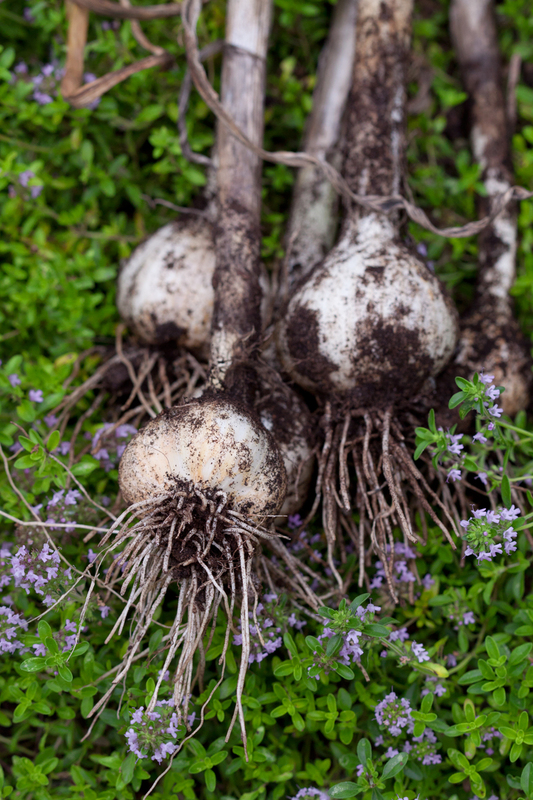 The trick to digging up garlic without damaging the bulbs is to position your trowel a couple of inches away from the garlic stem. If you start digging too close, you run the risk of piercing the garlic bulb, thus affecting it's storage abilities.